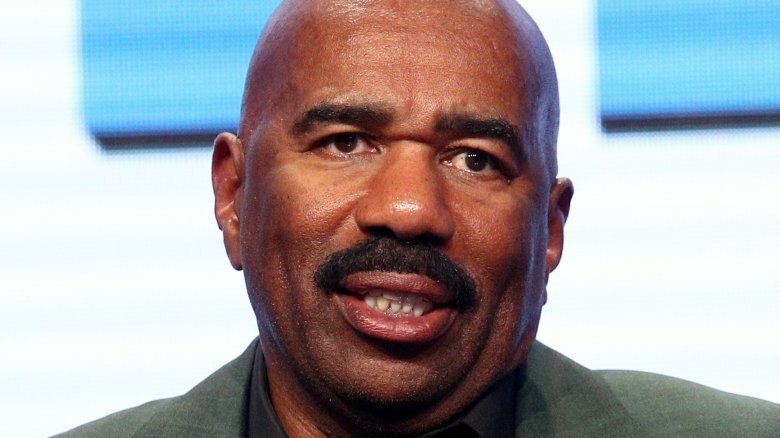 Television personality Steve Harvey probably wishes he'd sat the 2019 Super Bowl out. While catching up with TMZ Sports after the big game on Sunday, Feb. 3, 2019, the Family Feud host went off on the New England Patriots' 13-3 win over the Los Angeles Rams at the Mercedes-Benz Stadium in Atlanta, Ga.
"It was the worst game I've ever been to! No offense. No offense, man!" Harvey told the gossip rag. Noting that he didn't think the Rams were "ready to play," he claimed, "They didn't come with the attitude." While the former stand-up comedian was clearly fed up with the Rams' typically high-powered offense, he went on to give credit where credit was due. "The defense was great," Harvey said, but added, "If you hold New England to 10 points in the Super Bowl, you're supposed to be the Super Bowl champ. Period." Harvey notably made headlines just the night before when he roasted the Patriots' longtime quarterback Tom Brady during his opening monologue at the 2019 NFL Honors. "If Tom Brady wasn't living, y'all could be in the Super Bowl," he quipped to the crowd at Atlanta's Fox Theatre. "The only way I see us getting in the Super Bowl, and I don't know why you ain't thought of it. All this money in this room, y'all ain't thought of pooling ya'll money together and having him killed?" he went on to joke during the extreme bit, adding, "That tighten y'all up a little bit? You ain't thought about it? Hell, I have!" Harvey concluded this portion of his comedic rant with, "I'm tired of Tom Brady in the Super Bowl — every d**n year!" However, unfortunately for this multi-talent — and pretty much anyone who'd rooted against the Patriots — New England's recent win over Los Angeles solidified Brady's place as the GOAT, or the Greatest Of All Time. According to ESPN, the NFL star is officially the only player in the league's history to win six Super Bowls. For his part, during his first post-game comments, an understandably thrilled Brady told Tracy Wolfson of CBS Sports, "I think we had a lot of resolve the last couple weeks. I wish we'd played a little bit better on offense, but, you know, we won. I can't believe it." As for considering hanging up his jersey after making NFL history, the 41-year-old went on to reveal that he still doesn't see retirement in his near future, saying, "It doesn't change anything." Of course, Harvey's not alone in his ultimate assessment of this snoozefest of a Super Bowl Sunday. 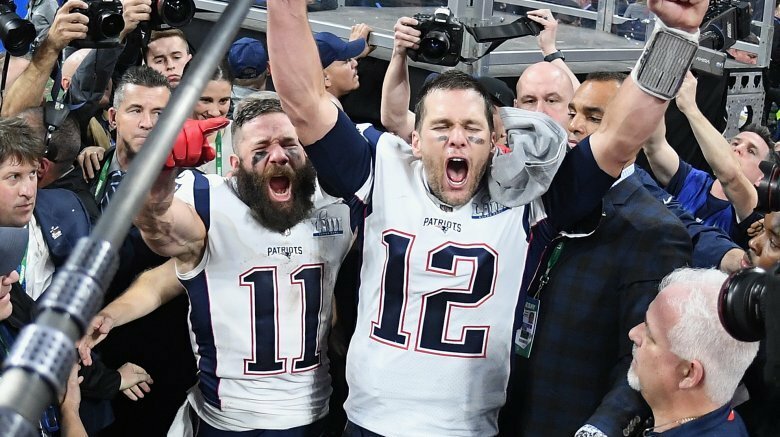 Writer Nate Scott of USA Today's For The Win, for example, agreed that Super Bowl LIII was "so boring," noting, "The Patriots are undoubtedly the best team of this era. That game was one of the worst." Meanwhile, Eddie Pells of the Associated Press wrote, "Pro football never looked flatter, older, and more stuck in the days of the VCR than it did Sunday." So, if you found yourself itching to go channel surfing during the game itself and not the highly-anticipated commercials, there may actually be good reason for it. According to CBS Sports, the Patriots and Rams' 16-point game broke the record for the lowest-scoring Super Bowl in NFL history. The previous record was a total of 21 points scored during the Miami Dolphins' 14-7 win over the Washington Redskins back in 1973. But that's not all. The news network later revealed several other Super Bowl lows set by the Patriots and Rams this weekend, including, "Fewest points, game, winning team: 13 (Patriots), fewest points through three quarters, both teams: 6, fewest touchdowns, game, both teams: 1, fewest PATs (point after touchdown), game, both teams: 1, fewest kickoff returns, game, both teams: 2, and most consecutive drives ending with a punt, game, team: 8 (Rams)." …Yikes. 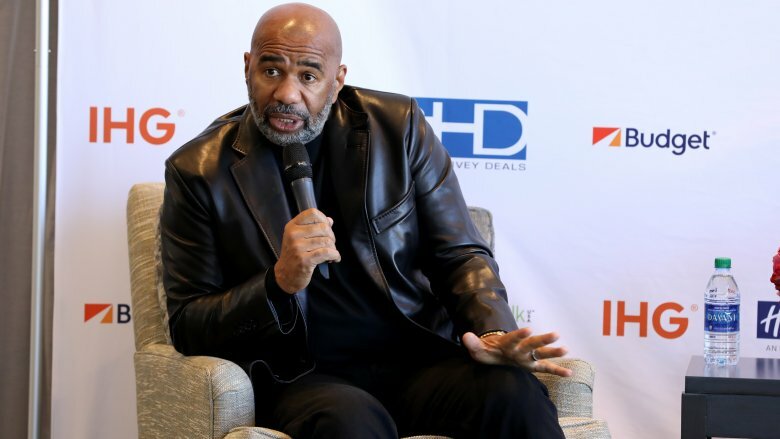 While Steve Harvey took issue with the entertainment value of the game itself, readers are most likely aware that controversy had already been brewing elsewhere behind-the-scenes on football's biggest night, with a number of social media users roasting Maroon 5's halftime show. As Nicki Swift previously reported, the "Girls Like You" pop-rock group, who were briefly joined onstage by rappers Travis Scott and Big Boi of Outkast, delivered their biggest hits in what some viewers called an "incredibly boring" performance (via Forbes). However, other criticisms were much more targeted. 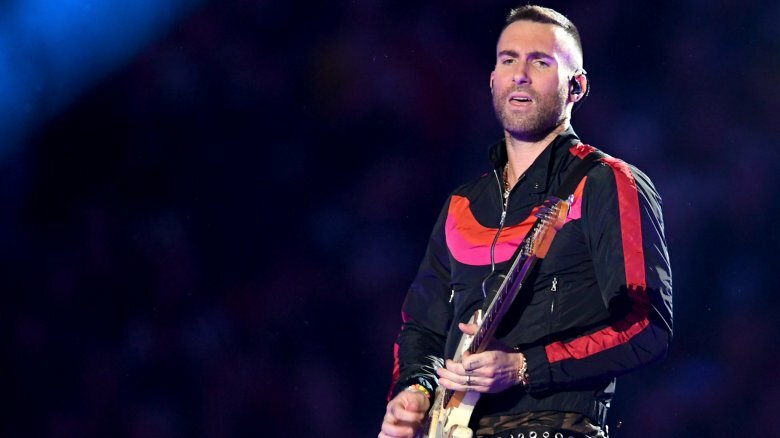 Adam Levine and co. have faced backlash ever since signing on to perform, due to the NFL's treatment of free agent quarterback and activist Colin Kaepernick. The league has been accused of essentially blackballing the football pro since 2016, when he peacefully protested police brutality and racial injustice by taking a knee during the National Anthem, according to NBC News. On a less serious note, multiple people had a field day on social media over Levine's eccentric wardrobe choices when he changed from a black jacket into a '70s-inspired patterned tank top and a gold chain during the performance. Whether or not the 2019 Super Bowl and halftime performance actually go down as the most boring showings in NFL history remains to be seen … but the subsequent reactions on social media have been at least somewhat entertaining.